As hungry as companies are for the "total solution" to ease the burden of ROI proof, the process for delivering it requires that management teams turn inward to assess their baseline, highlight their core business processes and identify essential hardware and human capital resources essential to increasing revenues; in this way linking IT to provable ROI. ModernTechs Business Services can make it happen. - Identify IT/IS technical terms, definitions, methodologies and available systems. - Design the Systems Development Life Cycle (SDLC). - Evaluate business issues, roles and responsibilities, new system requirements. - In-house development vs. Off-the-shelf application software. - Use Project Management tools and techniques. - Define system specifications and developing the system specifications package. - Design a system tailored to business requirements. - Implementation: constructing the new system - installing hardware and software. - User acceptance: systems testing - delivery phase tasks and conversion strategies. - Audit process: quality assurance and walkthrough guidelines. - Exploring new business strategies for existing processes through IT. - Distinguish the unique nature of IT value and its impact on future IT investments. - Tailored approaches such as Six Sigma and Balanced Scorecard to optimize business processes and ROI on Information Technology investments. - Investigate the value, viability and global utility of innovative new IT solutions. - Realize the significance of turning inward to establish the means to enhance ROI on IT resources. By providing a consolidated view of prioritized demand and the available resources, ModernTechs enables IT organizations to align the resources and execution with the business demand and priorities. ModernTechs will work with IT executives to assign the right person for the right project ensuring the business critical projects and services are delivered on time and within the proposed budget. 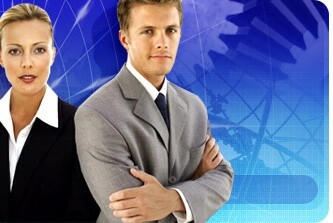 ModernTechs helps align IT performance management with the business performance management. Using a top-down approach, business management is linked with the IT strategic process and cascades down to IT development and operations. ModernTechs will create a common language for communicating IT performance to stakeholders throughout the organization. - Finding software solutions to correspond with your general ledger system, allowing the two applications to remain in constant synchronization. - Your asset list is updated in real-time to ensure accurate asset tracking, counting and valuation. - Track and unlimited number of asset attributes and values stored for each attribute. - Track leasing details, maintenance schedules and more for each asset. - Check assets in or out of inventory quickly and easily. - Record costs associated with different asset actions, including maintenance, depreciation, repair, etc. - Calculate each asset's book value. - Provide reports showing each asset's status history. - Categorize assets into different asset categories for reporting purposes.